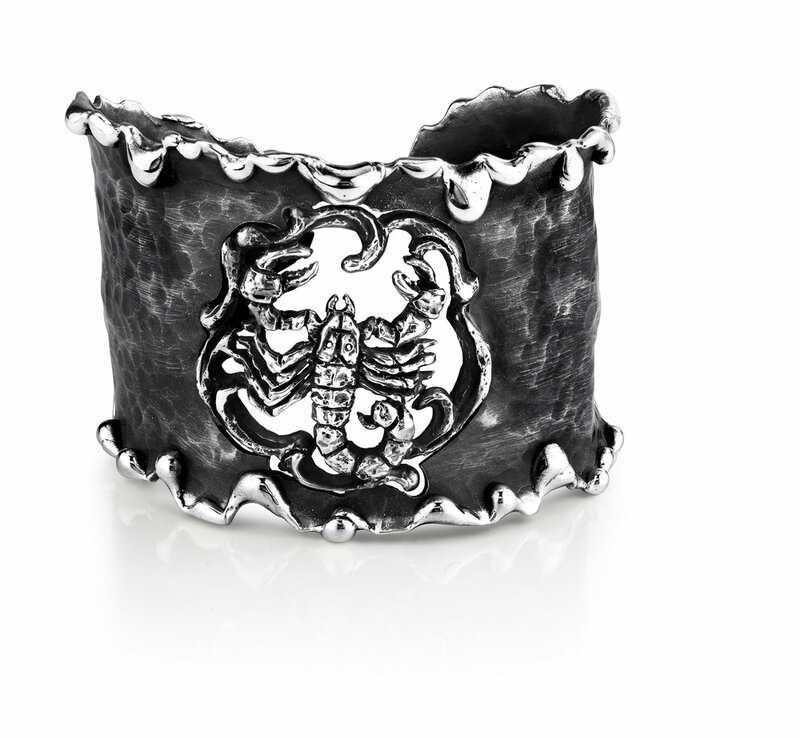 Hand Forged Silver Scorpio Adjustable Cuff Bracelet. About 2.5 inches wide. The metal does not contain any additional alloys that could compromise the strength or quality of the piece. Each Organic Silver Cuff Bracelet takes about 8 hours to complete, ensuring that no detail is ignored. Due to the malleable nature of Organic Silver, this bracelet can be easily adjusted to fit small to large sized wrists, yielding a custom fit for its wearer.